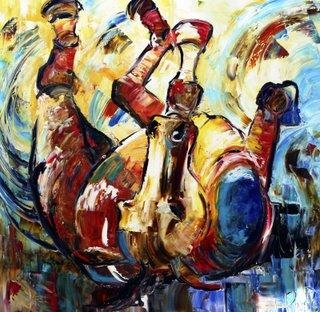 I love the funny motion of this horse in this painting, just rolling over and scratching the itchy on his back! Tying my paintings into my thoughts and beliefs is always the challenge for blogging. When we are carrying a great burden or worry or illness, we become weighted down and totally unable to stand up straight or even think straight. Maybe we are forgetting we can Roll Over all of this to God. I know deep down we might think there is no way the peace of God could survive the weight of our pain or worry, but it will. If I have learned but one thing, it is that God does not want us worried and unhappy. We seem to choose this state of mind for ourselves. We become overloaded with anxiety. The Lord God does not want us to be anxious in any circumstance. It is time that you and I roll the burden we are carrying upon God and cast all our cares upon him. ONLY then can we be free. Great or small, God is there to carry these things for us. It is hard to let go of them. Sometimes the feeling of release is successful only for a short time… but only because we grab back the weight of what we just gave up. Just keep handing it back to him. He is waiting and he can carry it.